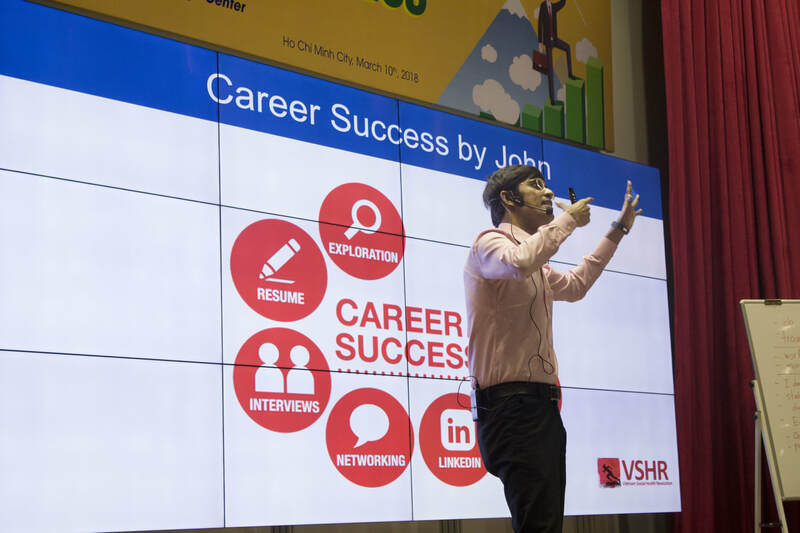 John is Founder and President of Vietnam Social Health Revolution (VSHR). The purpose of 'Vietnam Social Health Revolution' is to keep developing capabilities by the scale and sustainable value stream to support - resolve different health-related concerns in Vietnamese community and finally move forward to build a Quality health service model for Vietnamese people. 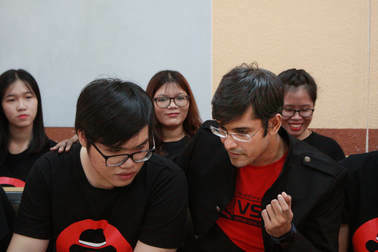 John also is the chairman of Vietnam's Amazing Student contest. Recently John spent time with a community group and he shared about his views, philosophy believes in social impacts and his own life. On this article we share with you some key highlights of his sharing session's question and answer part. What does give you the spirit to work for a social organization, develop it from zero to hundreds of people in a year of time? I love to do it! I love to live for the greater goods. I think Living for myself is too relaxing and boring, it does not let me explore my most challenging things in my life and is a big obstacle to see how much I can achieve in my life. I love challenges, enjoy doing difficult things and have a meaningful life. Some people have a lot of things to think about such as - their parents, their kids. It’s hard to take part in when you have a family to take care. How can you do it? You are right. I think about my parents too. I love them. Take care of them as an elder son basically all the important decision of my family I take for them as well. About money? I never had a dream to be the richest man! I just want to be wealthy enough to pay my all reasonable needs! But I always wanted to have a life which must be full of positive impact. So the day I will die, I will die happily thinking what so many amazing things I did for the people of this world. So since the very early age of my life, I was doing research on technology and then I expanded the sector into the healthcare. People care about their own and their family first, mostly the care is bundled inside that. But did you think? Your parents, kids, wife all are part of that people community. Now if you start caring about the whole community, other will do it then we will achieve an amazing community for all people. Everyone has reasons and problems in our life, if we make those excuse, we can't do anything and our limit will so small. If we make those problems as our inspiration to do an interesting thing, think to try to learn new things. We will be able to see our life is a gift and we can do so many amazing things. So I turn every excuses to a power to do things which I want to achieve. Example: oh too busy, don't have time! So I improve the 'time management' skill and do that things what want to do in community! That's make me better! Just doing that we can learn how to he super effective, means we will be better, stronger than our colleagues, friends. People start social work but after months or even weeks, they give up. How could you give up Ph.D. study and do social work for the last 6 years, from VSHR? I always give my best effort to work on the social development project and in VSHR, I work almost all the time, go through so much stress for the social projects, deal with many difficulties, limitation and tackle those challenges. Create backup plans of backup plans to make an initiative successful. But when we deliver an initiative, see people got benefits, they give amazing feedback, give respect... oh that is an amazing feeling, you can't buy that even by billion dollars! Many people think social work is a waste of time. Please give us an example which actually shows social work actually help us to be better? When you meet friends you talk, chit-chat, laugh, relax, coffee, you talk about topics, you share ideas etc. Most of the time your topics of discussions - is about other friends, people, movie, coffee, industry or technology. 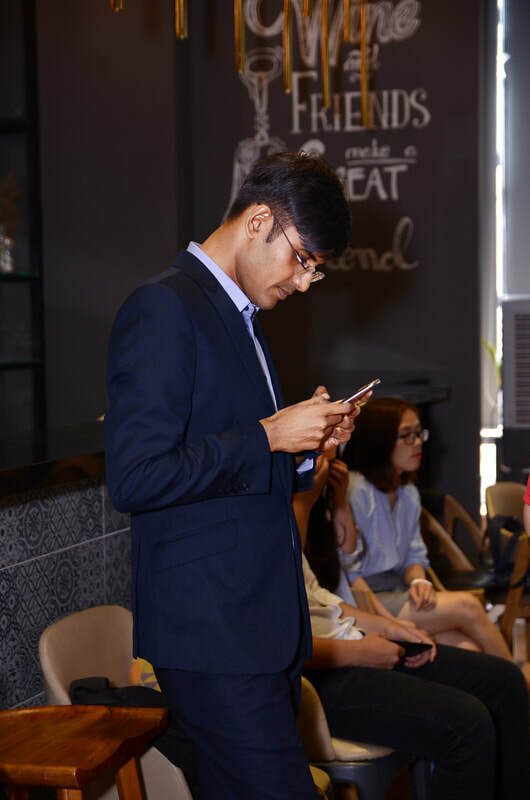 Unfortunately, you will also see most of the friends also spending a lot of time on their cell phone as well while in a group meet up. And then you go home and everything finished or just stopped. There is no key take away from that discussion except having some gross information. So the time you spent almost zero impacts. Now let's talk about you meet VSHR teammates, you will talk, about ideas, issues, meet new people from different sectors. They all have great skills, vision, passion for development. You see their passion, discuss major plans, talk about updated plans, the progress of our plans, talk about new projects to solve an issue etc. Then when you will go home, you will be thinking - what an amazing time coming for next few weeks, months and we will be doing those and all those things make we better, better than people around you! How is this important in term of your own determination? Well, I could be determined. Be believe you already know losing weight is so difficult. But ya, I reduced almost 30 kg weight, and I am maintaining it in the last 4 years of time. For me, ya Discipline is most important, it's a must in our life! I believe beside determination, actually, self-starter/ self-motivation is very important. Are you struggling to do something? Great, so it's an opportunity to fight that issue and WIN that. Just don't make any excuse, Turn excuse to you power to get that done! Ya, it's can also happen to fail as well but from it and use that as a lesson for other initiatives. Did it require any sort of sacrifice while doing this social development work with VSHR? Our life is like a river, it's passing away the time but, as it's so much important how we make the best use of time, so we can do the most amount of the impacts. It required me to do sacrifice too, really. I had to give up my hobbies, meeting friends, coffee, watching TV, listening music, nah, I cut them all from my life long time ago, because I found it much more interesting and meaningful when I spend those time for work or social development. Yes, I lost many friends, because simply I have no time to meet them anymore. I work in my career and my role in that corporation is also very important. I always give my best effort to make that organization successful from my perspective. So after doing my job, all of the times I spend on VSHR. Well,the friends who really understand me and my passion, I think they are my true friends. So I have no regret about that. Let's hear from an award-winning intern. 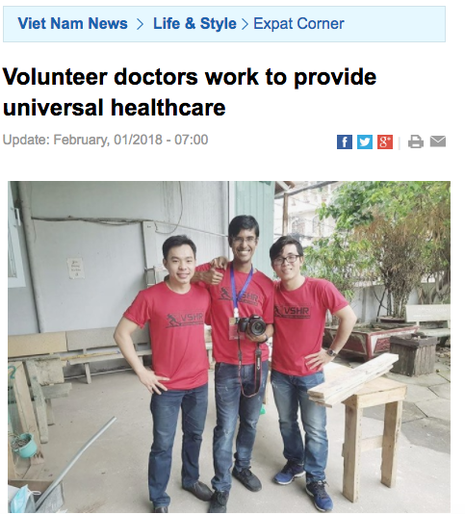 This is an amazing opportunity for international students to work on different social impact projects at Vietnam Social Health Revolution and develop stunning skillset. Please click the button below to know more about the international internship programs. 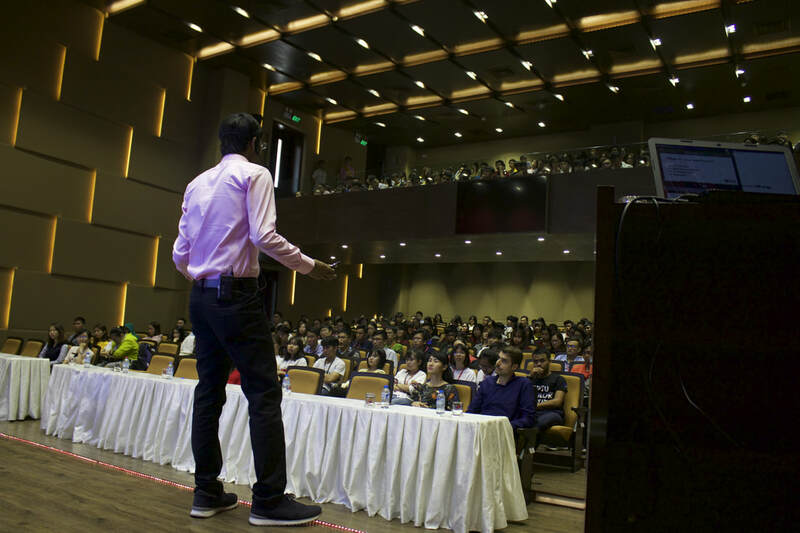 During the contest student, teams will learn those three skills from the mentor we will provide and also develop a small social project which will bring positive impact to the community. So John often provides workshops, speech for corporation/companies or become a judge of different contest or event and everything he gets by providing those work, he donates to VSHR Live spirit fund. ​If you would like to have such workshops, please feel free to contact us. John's Speech about Vietnam's Social Health Revolution on FBNC TV. Around 7 years. John calls himself a Saigoneer or Saigonese. John’s family is a very much medical family who is working all over the world. He has total around 16 doctors in his family. John brother is also striving for becoming a doctor/ medical professional as well. John’s father working for USAID, and his uncle aunt working for National Health Services (NHS) United Kingdom, his other uncle, aunt working for Canada Healthcare. Like, many of the family members are working and contributing to the world health sector development. That also inspired John to help people. John’s parents know all about VSHR, the purpose of VSHR and they completely support him. They highly appreciate John developing VSHR. John's father is his mentor as well. The goal of VSHR is to help Vietnamese people by solving their health-related concerns, help the people who need help. And contribute to developing future healthier Vietnam for everyone.